Fashionable jute bag in laminated style with comfortable handles and rounded gusset for increased capacity. If you're looking for style. 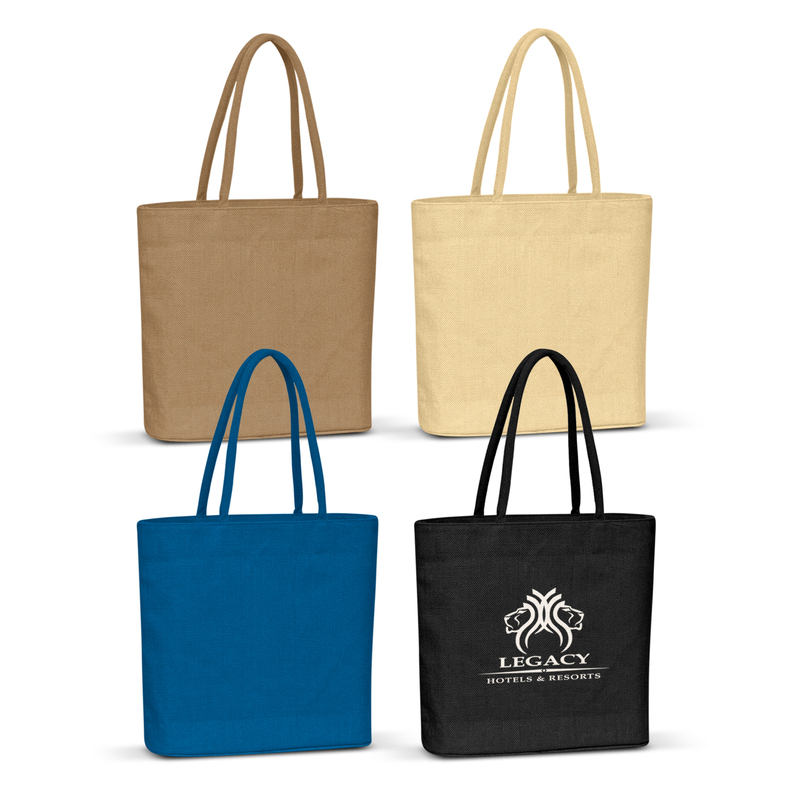 These delightfully, high-fashioned, laminated natural jute bags are right for you. With padded cotton handles for comfort as well as a rounded gusset and sewn in base for added capacity. 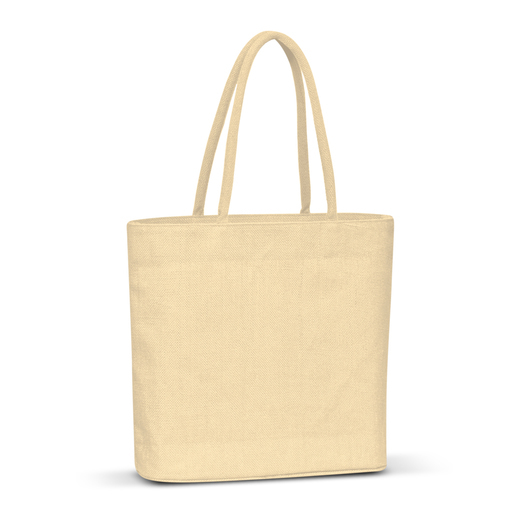 It has a natural version as well as three dyed coloured versions. Excellent for events or everyday use.